Reprinted from the March 2014 issue of “Gospel Advocate” Magazine. Sound biblical preaching has become nearly an endangered species. At the same time, sound preaching is needed now more than ever. The behavior of self-proclaimed Christians often is not much different than that of their secular neighbors. Divorce rates and instances of criminal activity are comparable. George Barna has concluded, “Every day, the church is becoming more like the world it allegedly seeks to change.” 1 For some, this may be nothing more than an attempt (as some might put it) to be as liberal as necessary in order to win as many souls as possible. 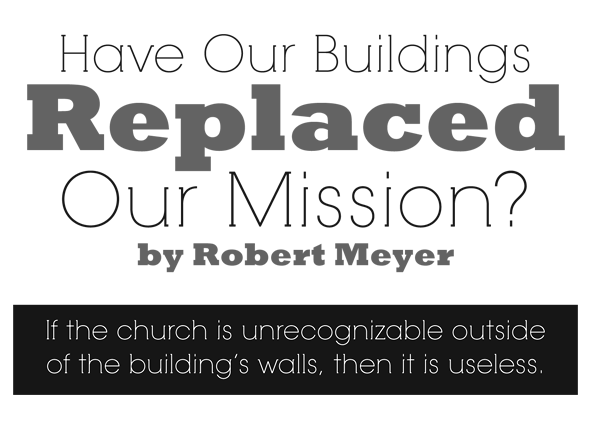 For others, this means to imitate culture so that outsiders will perceive them as relevant. Both are formulas for disaster. One produces weak Christians while the other produces inauthentic ones. The pursuit of relevance is little more than an exercise in pragmatism. In order to ensure that the contribution remains high and numbers stay solid, some congregations seem to be willing to trade biblical preaching for other means, including dramatic productions, pop psychology and other entertainment-based forms of communicating biblical principles. The rationale is simple: draw them in now, then give them more in-depth biblical instruction later. It does not seem to dawn on these individuals that those who come for entertainment will leave for greener pastures should the church fail to continue to provide such entertainment. In the last 50 years, society has experienced a tsunami-like change in the way that it thinks. 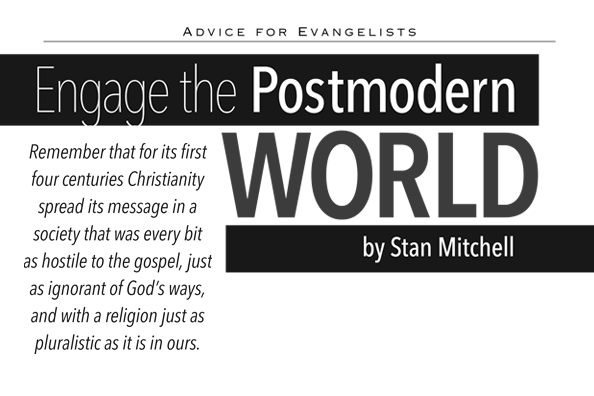 There are many terms by which this philosophical change can be described, but for purposes of this article, let’s say it is the difference between a rationalistic, enlightenment way of thinking (from about 1700-1960) and a postmodern era way of thinking (from 1960 to today). It represents a shift in civilizations, one where values held for several hundred years are collapsing. While we must know the gospel, and while it is always true, we must also know the world to which we take the gospel. Much of the evangelism we carried out in the past was “argument-based,” dependent on rational reasoning and an appeal to biblical authority. Neither of these can be counted on as persuasive today. Please note that although the gospel has not changed, simply shouting Bible verses and expecting to make disciples by out-arguing people will not prove as effective in today’s culture. Although early scientists in this era were devout believers in God, as their scientific method began to produce more and more scientific advances, they began to see God as unnecessary, a remnant of the Dark Ages. 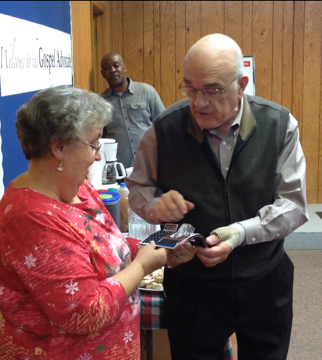 Minerva Arnold, a vital member of our staff, retired Dec. 27, 2013, after 23 years with the company. Although her primary responsibility was handling accounts and writing checks, she was also our social secretary, planning the monthly birthday luncheons for all the staff. I will miss her cheerful greetings and loving friendship. She and her husband, Jimmy, recently moved and are now enjoying their new surroundings and spending time with family. That statement has taken a lot of getting used to. My wife and I have twin daughters who are almost 2 years old, and we still ask each other occasionally if it feels right that we are actually parents. The answer is often no. I’m going to confess something to you, trusting that you will not point it out to my daughters – especially in about 13 years. I have no idea what I am doing as a dad. That causes a lot of frustration in my household because I make a lot of mistakes. Much of the time, I’m not even sure which actions and decisions are mistakes and which are not. That leads to an incredible feeling of guilt along with the frustration. I get frustrated; my wife gets frustrated; and I know my daughters get frustrated when I don’t know exactly how to nourish, comfort, train or discipline. Add to that the fact that my girls are just now becoming conversational with a few words (mostly “no,” “Mama,” “Dada” and “up”), and you have a recipe for uncertainty, miscommunication and frustration. Do you want to know why I don’t know what I’m doing as a dad? It’s because deep down, I know that I’m not really a dad after all. That may sound strange, but it’s true. All my life, I’ve only been a son. That’s the role I know. I’ve never been a dad before; therefore, I have no idea what I’m doing as I try my best to raise physically, mentally, socially and spiritually the two precious souls whom God has entrusted to me. When I was about 10 years old, I asked my mother how we knew that the Bible is from God and other books are not. My mother gave me good reasons for our conviction that the Bible is from God. She did not tell me to stop asking, to repent for doubting, and to just assume that the Bible is from God. This would have been the presuppositionalist response. Such an answer would have helped me little as a child, and it would help me even less as an adult. 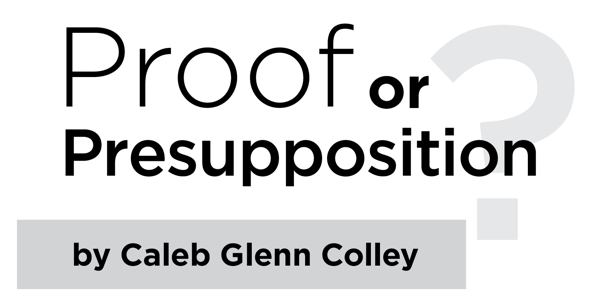 Presuppositionalists say that we should simply accept the truth of Christianity’s claims without any evidence (e.g., Frame, “God’s Revelation”). Allegedly, if you have a heart for the Lord, you don’t need reasons; if you don’t have a penitent heart, then no reasonable argument is going to help you be saved. Apologetics, however, is about giving reasons for the hope we have as Christians (1 Peter 3:15). Clearly our attitude in presenting these reasons is to be gentle and respectful, but what is our apologetical method to be? Reprinted from the December 2013 issue of “Gospel Advocate” Magazine. Angolan culture bears the burden of centuries of incorrect ideas about the church. The Portuguese brought Catholicism to Angola in 1491. Protestant missionaries arrived in the late 1800s and built large mission stations with cathedrals, schools and hospitals. Today, I often hear the question “Missionary, where is your mission?” I answer, “My mission is in the Scriptures, specifically Matthew 28:18-20.” But my response isn’t the answer they seek. They want to know where to find a building. 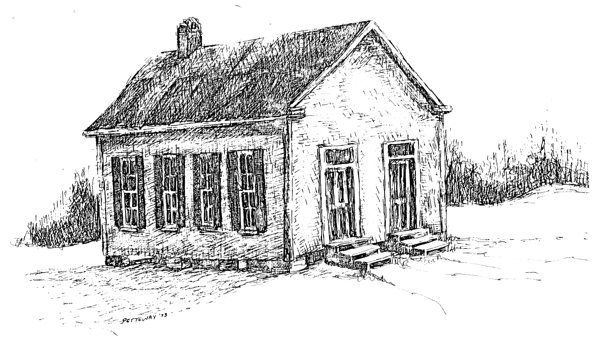 A line drawing of the Rock Spring church building (c. 1887). Originally printed in The Anderson Files from the December 2013 issue of Gospel Advocate. Compiled by Neil W. Anderson, Publisher. Last month I spoke at the 181st anniversary of the Rock Spring Church of Christ near Smyrna, Tenn. The story of the church, the oldest congregation in Rutherford County, begins in 1804 when this church was a Baptist congregation. In 1832, the members voted 97 to 3 “to renounce all human creeds and doctrines and accept the Bible as their only rule of faith.” Afterward, they simply became known as the Rock Spring Church of Christ. Alexander Campbell had a great influence on churches of Christ in Tennessee. A second generation leader was Tolbert Fanning. In 1844, he estimated 300,000 members in the U.S. with 135 congregations in Tennessee – 93 of them in Middle Tennessee. Few men of his generation did more to place the pure Word of God, stripped of all the traditions of men, into the hands of the people than Fanning. In 1845, Fanning preached at Rock Spring and attended a co-operative meeting there. In addition, he established Franklin College for young men in Nashville, Tenn. Years later he started the Gospel Advocate, now in its 158th year. Other men who preached at the Rock Spring church during those early days were David Lipscomb, E.G. Sewell and J.C. McQuiddy. Each one was closely associated with the Gospel Advocate. I personally admire the knowledge of the Bible that characterized people of that era as seen in their Christian convictions. We are thankful these brethren have maintained the faith.